ALL IN Lacrosse has been in the works since the day we were born. Who we are as people, how we were raised, the schools we attended, the sports we have played, and the teams we have competed with lead up to who we are today. Back in 2009, Mark was introduced to Gary Plaster and the Plaster family via an ad he posted on craigslist searching for a lacrosse instructor. Fast forward to the fall of 2011, Pat Rodgers found the Plaster family in the same way, and Gary was instrumental in bringing the two of us together. 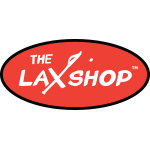 With Mark’s extensive experience in personal training and development, and Pat’s business background, they forged a partnership and ALL IN Lacrosse was born.